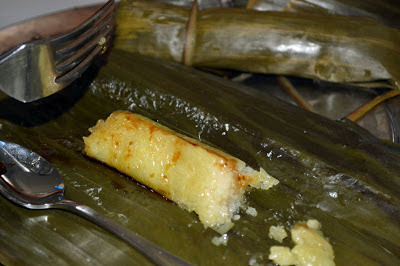 Suman is a glutinous rice treat usually cooked for special occasions such as Christmas or All Soul's Day. 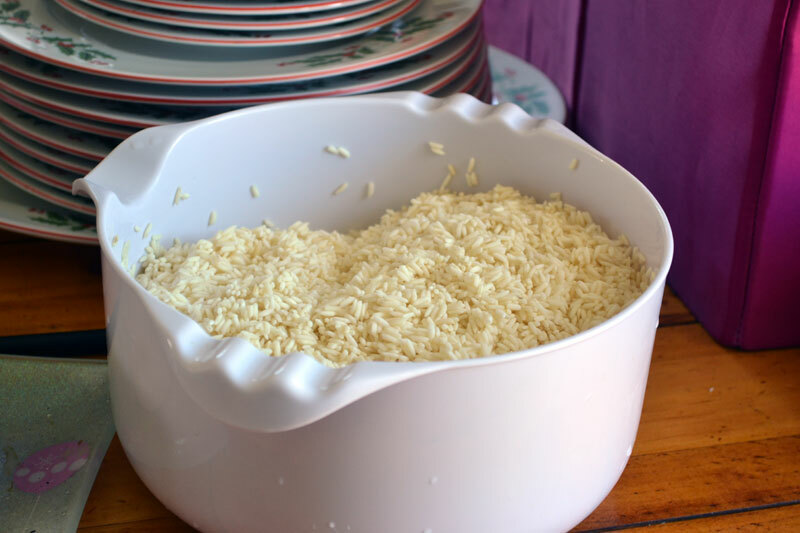 It is a hearty snack and especially handy when you have guests over. It takes some time to make, which makes it even more special when offered to guests, as they appreciate the effort it takes to make suman. 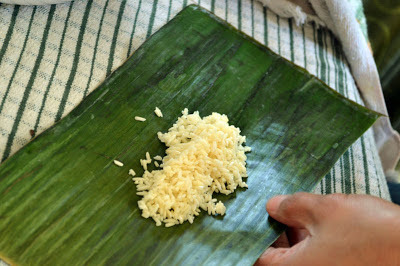 This recipe is straightforward, and is different from the way my Nanay makes this dish, but it does the job and it's yummy. I hope to be able to make my Nanay's more elaborate preparation next time and write about it here. 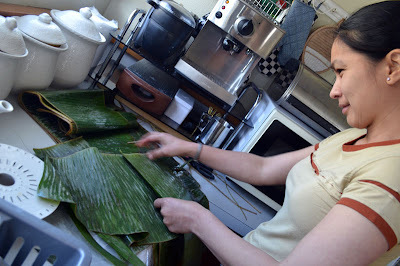 The banana leaves can be bought frozen from the Asian Store. 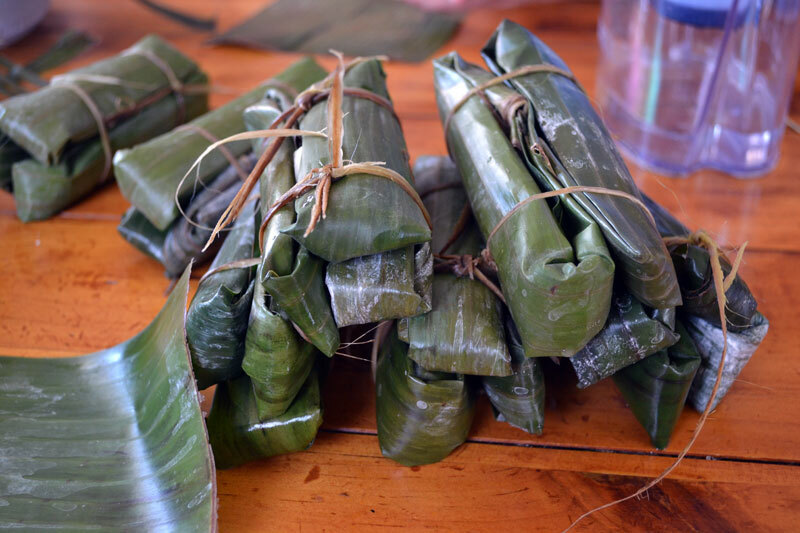 This recipe makes around 30 pieces. to serve sugar or some sweet syrup. 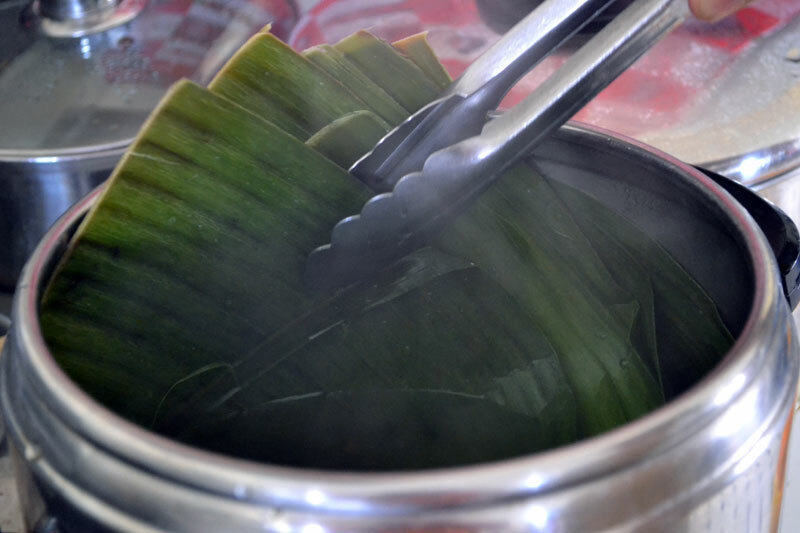 Prepare the banana leaves by boiling some water and submerging the leaves for a couple of minutes. 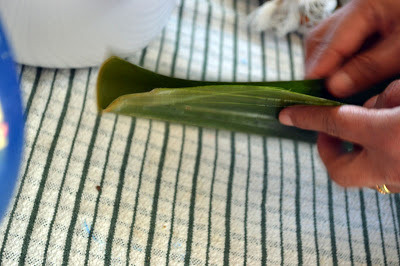 This will keep the leaves pliable. 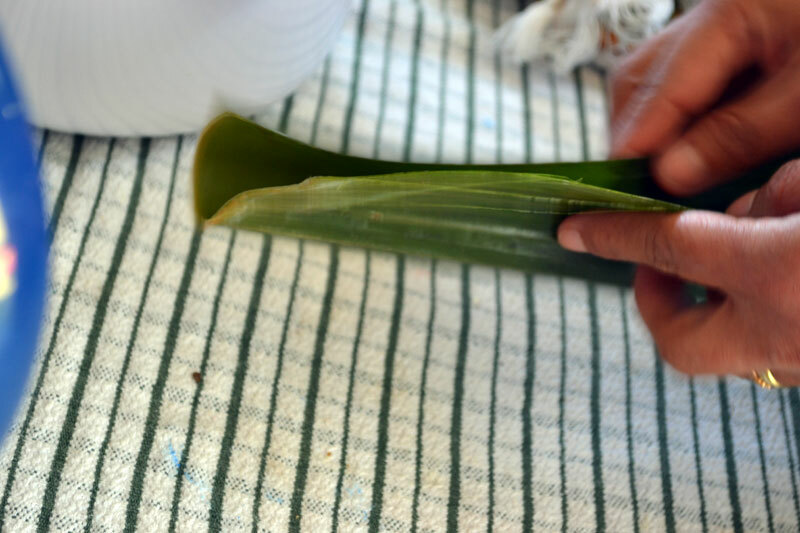 Cut into serving portions (cut the leaves lengthwise through the midrib then cut into sections) then wipe to remove excess water. 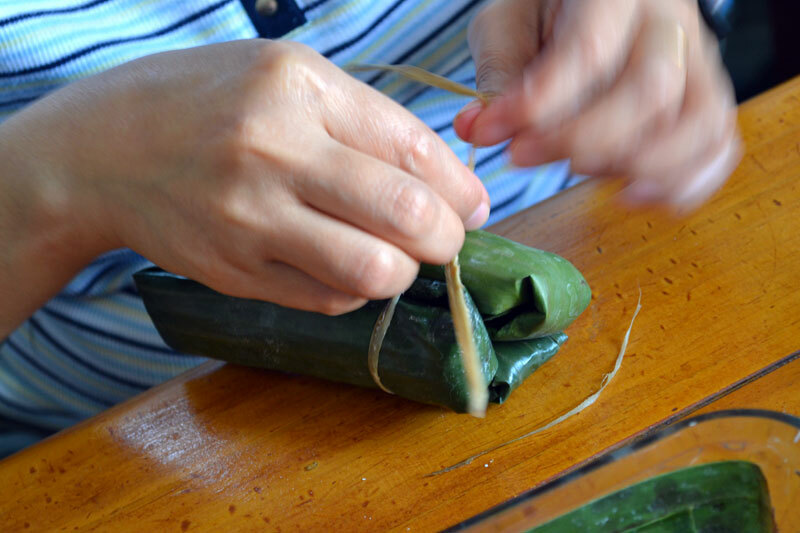 Thoroughly wash the glutinous rice to remove the starch. Keep the rice moist while putting a couple of heaping tablespoons onto a banana leaf. Roll firmly and fold both ends. 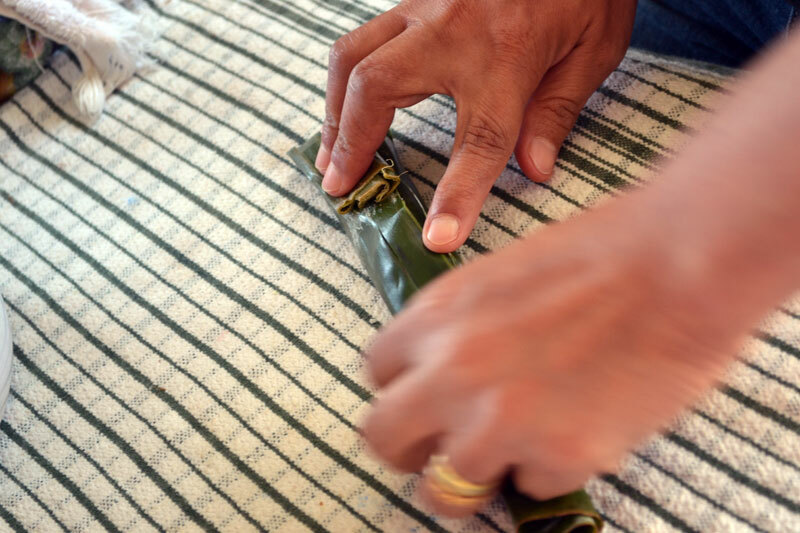 Tie these using either kitchen string or traditionally use the fibre from the banana leaf. Boil enough water to submerge the suman. 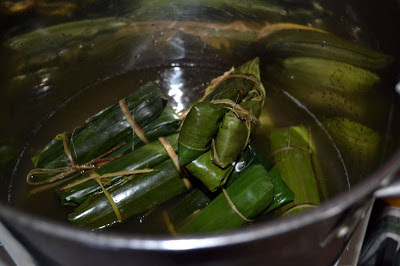 Add the suman into the pot and cover, and cook for 2 hours. Serve with a sweet syrup (this is another recipe altogether or use maple syrup) or some sugar.